PowerColor Red Dragon RX Vega 56 3 Fans>£329, cracking bit of kit better than the Pulse. Agree with OLDPHART, mine is great, had a few hiccups but that turned out to be something else. So like a lot of you, I pulled the trigger on the VEGA 56 pulse. Coming from a 980ti so getting a good 10-15% increase (more in some games) plus I can now use FreeSync on my monitor. Sold the 980ti for £170 so only cost me £120 and I'm more than happy. Had a few hiccups installing but DDU helped with that. Only issue I've had so far is that after playing anything '3D', I just get a black screen. I looked around and found that adjusting memory to stay at 500mhz instead of 167Mhz seems to do the trick. What a the noise like on the Sapphire pulse? I'm thinking of purchasing one as a upgrade from my Msi 970 gaming which is fairly quiet even on full load. Undervolted it would run pretty quiet, its no louder than my 1060 which are both quieter than the case fans unless Im hammering the lot full tilt. Under load, it really depends on the noise and cooling of your system as a whole. Passively it makes no noise, as fans don't spin up until it's over 50 degrees. Using automatic fan settings, my card only gets up to about 60-65 degrees, which causes the fan to spin to between 1300 and 1500 rpm. Although most of the testimonials I read before purchase had temps and fan speeds a lot higher than I seem to get. I got my card last week, to replace my MSI 970 also. Really pleased with the decision! Good to know! Thanks for the reply, Sounds good to me. 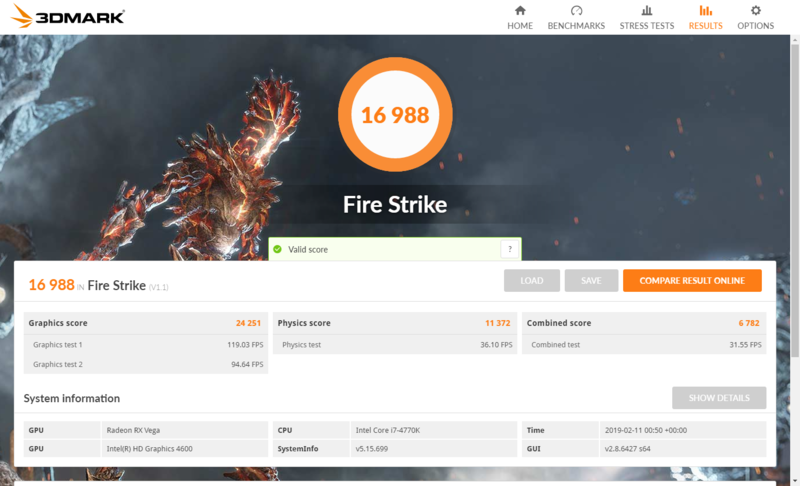 Powercolor Red Dragon Vega 56 is really quiet IMO.. So wanna order one of these. Issue being the wife finishes work earlier than me so can't sneak it in. Agreed, had this card for awhile now and stupidly quiet even under load. The Sapphire 56 Pulse I got last week is a lot better than I was expecting. It seems perfectly happy to just sit at ~1635MHz and really not get very warm. Are people seeing similar results to me? I´ve just ordered a Vega56 Red Dragon. After 15 Years in Team Green I´ll hope it was a good decision. Had a MSI 970 the last 2-3 Years. Also that my I5 4670k @4,2 Ghz is not Bottlenecking too much. 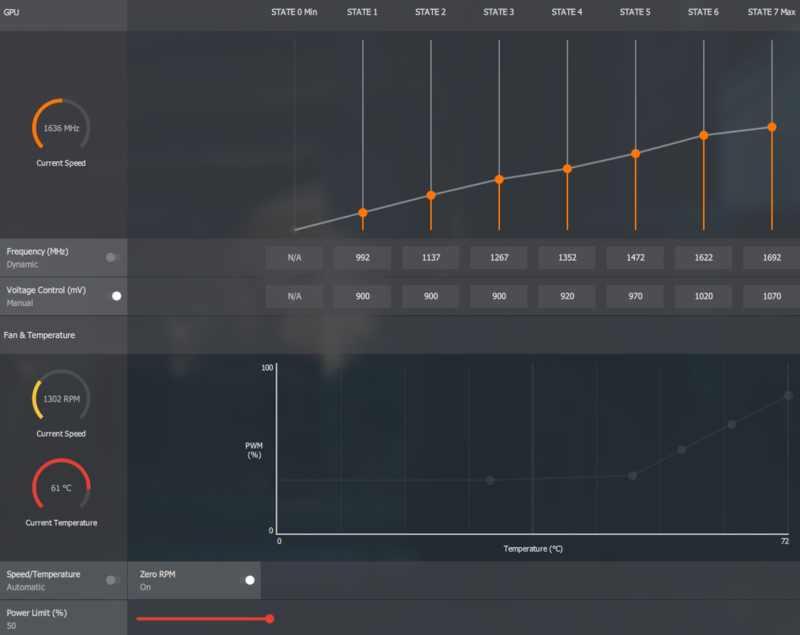 Does anyone have a good guide I could use with the undervolting etc? I have the saphire pulse card and would like to get the best out of it. Thanks. I've just pulled the trigger on a Vega 56 Pulse and got mine yesterday. Upgraded from an R9 390 and couldn't be happier with the new card. Especially when I managed to sell the 3 games that for £60. Very impressed with the design and materials used on the card plus the clocking capabilities. For now I'm running mine on the auto undervolt option in wattman. Thought my i5-6500 will bottleneck more however it's actually better than I thought. btw guys .. did u use the first or second Bios ? 950mv, not tried lower. Im using the BIOS closest to the ports.. 1?